It’s been an exciting fall season for Little Lamb Books! In the last three months alone, we’ve celebrated our 2nd Birthday, launched our debut picture book, The Bubble Who Would Not POP! participated in the Texas Book Festival, and revealed the first book in our new chapter book series called Teeny Sweeney and The Mustache Cash by author Amberly Kristen Clowe. It’s been busy! But, we’re pausing all the busyness and planning this week to be with family and to take time to count all our blessings. 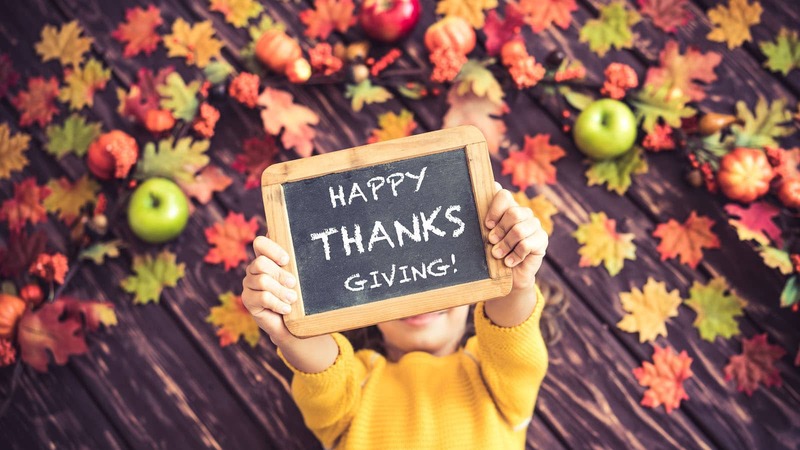 Here are 10 Things we are Thankful for this November. Thankful for the one who gives us purpose and hope, and who continues to become closer and more real day by day. He is our Jesus-Savior, Protector, Healer, Confidante, Provider, King of Kings, Almighty God, Prince of Peace. Thank you, God! I could not do this without the support of my family, and I know most on our team feel the same. Husbands and wives, children and parents cheer us on, pray for us, allow us to vent, and see the good when we can’t. You have our hearts! Thank you! Nothing is impossible with God, but sometimes when you’re starting at the bottom line, it’s hard to look up and see how all the finances, printing, marketing, and more will come together, but each day HE provides us in ways we haven’t even imagined. Thank you, Jesus! Last year was not a great one for the physical health of many in our family. And, you all know, when someone is fighting illness, whether it’s you or a loved one, well, it can be stressful. Thankful for continued healing, good health, and wellness! You guys, we have worked with some of the best people this year! The list is truly endless. Authors and illustrators, agents and editors, designers and publicists, accountants and lawyers, manufacturers and distributors…they are all beyond talented, and I am grateful for everything each one has contributed to Little Lamb Books. Thank you ALL! As messed up as things may seem to be (and, hello, the world is a hot mess), I still give thanks for this Land of the FREE and Home of the Brave. To be able to pray and worship God, to be able to move about freely as a woman, to be able to live in my home, drive a car, and educate my child in the manner of our choosing…well, I give thanks for my country, my home, and I pray for the not-so-great happening around us! We are extremely thankful for the many writers, reviewers, bloggers, educators, grandparents, aunts, uncles, parents, and kids who are reaching out, commenting, and sharing about Little Lamb Books. Whether you like us via our social media channels, share our website, and say hi during conferences and festivals, we are truly appreciative of each and every one of you. You guys and gals inspire us. Thank you! Apple gets a bad wrap, even from us some days (we’re looking at you spinning color wheel). But, the truth is, we couldn’t do the work we do on a daily basis without technology that allows us to reach across multiple channels to share about our authors and our books, and most importantly, the good news of Jesus. Thanks! Artists like Mercy Me, Hillsong United, Mandisa, and Natalie Grant as well as Tori Kelly, Hillary Scott, and have songs that inspire us and cause our feet to move, our hands to clap, and our hearts to soar. Their talents and their music are often the comfort and cheer we need when faced with long days and nights. Thank you singers, songwriters, and musicians! Thank you, Jesus, for Caffeine. That is all.